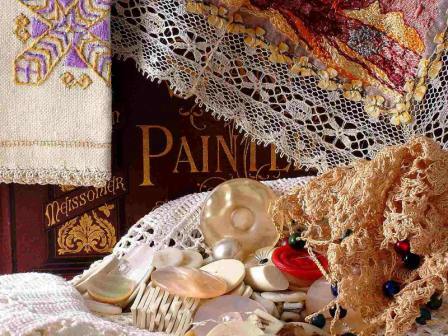 Antique and collectable linens, lace and other textiles. 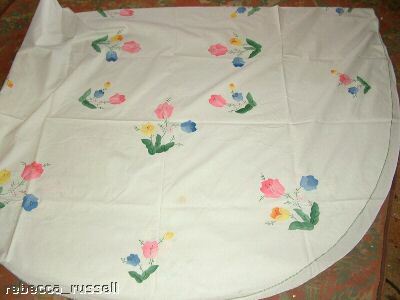 Very large white linen oval tablecloth, beautifully decorated with hand sewn and embroidered floral decoration. Hand cross-stitched rim. Comes complete with 12 matching napkins. All in generally good condition, with no holes or snags. Just one small stain to the cloth itself, most probably removable and pale tea stain in colour. Tablecloth measures 99 inches in length and measures 69 inches in width. Weighs unpackaged 1000 grammes. Additional photographs are available on request. Sanderson material, Golden Lily designed by William Morris. Over 6 1/2 metres of material x 48 inches wide. In good clean unused condition. Weighs unpackaged over 2500 grammes. Additional photographs are available on request. 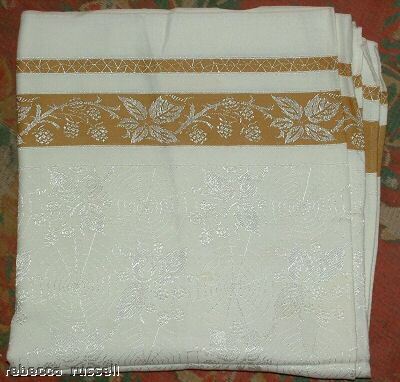 Very attractive Vintage Damask tablecloth, 51 x 51 inches (130 x 130 cm) square. 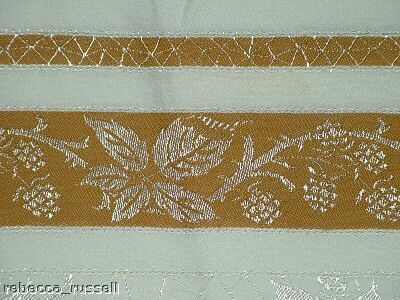 A gold or mustard border, with a very stylish leaf, berry and spider web design to the entire cloth. In generally good, but previously used, condition. This has no tears or holes, although some very minor spot staining in one area. Unusual design and very striking. Weighs unpackaged 275 grammes. Additional photographs are available on request. Macclesfield pure silk handkerchief, presented to the Borough of Macclesfield to the school children to celebrate the 700th Charter Anniversary 1261 to 1961, Charter Year Souvenir. In very good condition, and measures 11 1/4 inches (29 cm) square. Latin reads Nec Virtus Nec Copia Desunt, which I believe means something like Without Virtue and Decency you will fail. Additional photographs are available on request. 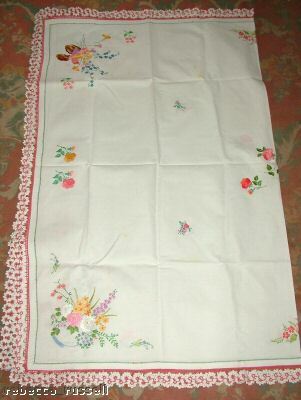 Vintage tablecloth, white linen, with crochet and braided edging, embroidered floral decoration to finish. In generally good condition, with no snags or holes. However, there are a small number of stains - most probably tea, and most probably treatable. One stain only is more noticeable. Measures approximately 63 inches (160 cm) x 51 inches (129 cm). Weighs unpackaged 550 grammes. Additional photographs are available on request. 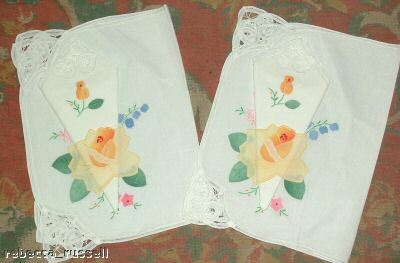 Pair of linen and lace or crochet finish placements complete with matching napkins. Both are in good condition, and beautifully finished. Each placement measures 18 inches (46 cm) in width, and measures 12 inches (30 1/2 cm) in height. Both together weigh unpackaged just under 100 grammes. Additional photographs are available on request. 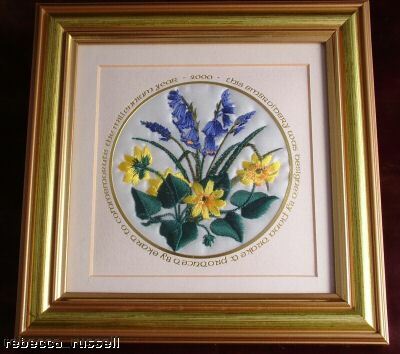 Embroided Silk Picture on Satin in Gilt coloured Frame. Exclusive design by Fiona Drake and hand made in Great Britian. 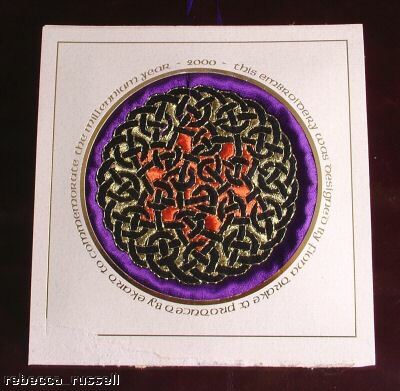 Depicts Silk on Satin picture to the centre, to the rim of the picture reads 'This embroidery was designed by Fiona Drake and produced by Ekaro to commemorate the millenium year 2000'. In good condition, ready for hanging. Measures 7 1/2 inches (19 cm) square. Weighs 300 grammes unpackaged. Additional photographs are available on request. 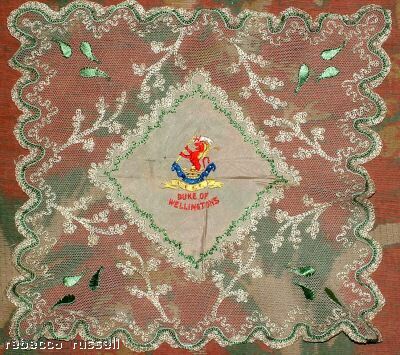 A World War One embroidered silk handkerchief - with the crest of the recently amalgamated Duke of Wellington's Regiment to its centre. I understand that the Duke of Wellington's Regiment was formed in 1702 and amalgamated with the Yorkshire Regiment in June 2006. One very small hole and associated short tear to the left of the crest. Clearly visible in the photographs. Measures about 10 inches square. Additional photographs are available on request. 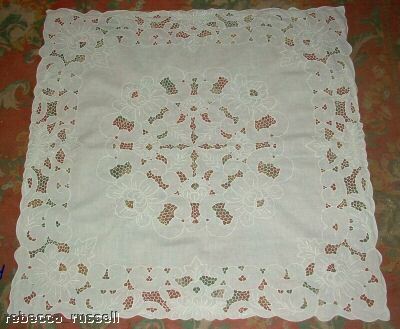 Vintage linen cutwork square tablecloth, white in colour, and in good, but used, condition with no obvious snags or damage. Measures 31 1/2 inches x 80 cm square. Weighs unpackaged just under 150 grammes. Additional photographs are available on request. 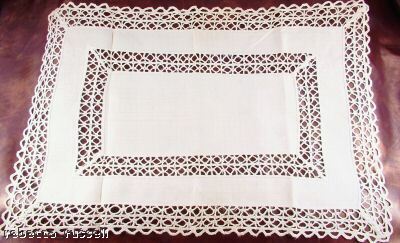 Vintage linen cutwork table or tray centrepiece, white or off white in colour. In generally good, but previously used, condition. Very minor wear to the edge, and a few areas of minor stains. Measures 22 inches (56 cm) in width, and measures 14 1/2 inches (37 cm) in height. Weighs unpackaged 20 grammes. Additional photographs are available on request. 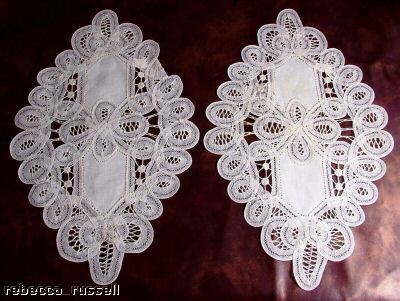 Set of three cream or off white Belgium lace pieces, possibly renaissance needle lace or tape lace, most probably to be used as a dressing table or similar. In generally good condition, and each with a label, which reads MB and real handlace Made in Belgium. 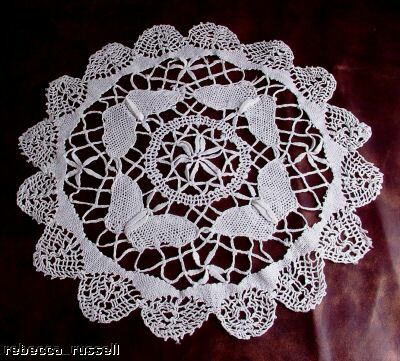 Large square piece of lace measures 13 3/4 inches (35 cm) in length, and measures 9 3/4 inches (25 cm) in height. 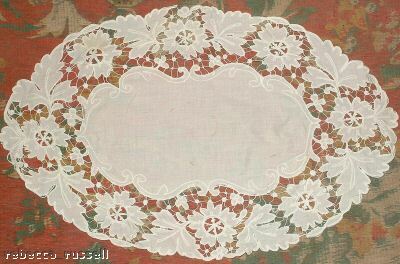 The two diamond shaped pieces of lace measure 12 1/3 inches (31 1/2 cm) in height, and measures 7 3/4 inches (19 1/2 cm) in width. Weigh together unpackaged 40 grammes. Additional photographs are available on request. 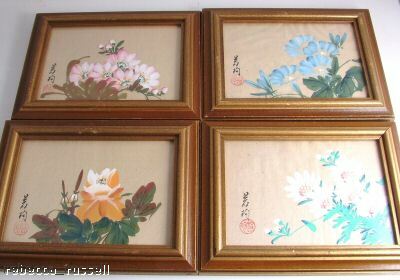 A set of four framed and glazed hand painted Japanese paintings on silk. Various flowers in pink, orange, blue and cream. Each is stamped and signed at its bottom left. Each measures 8 1/2 x 6 1/2 inches and the set weighs 1Kg. A few very minor scrape and bumps to the frames, but nothing serious. Additional photographs are available on request. 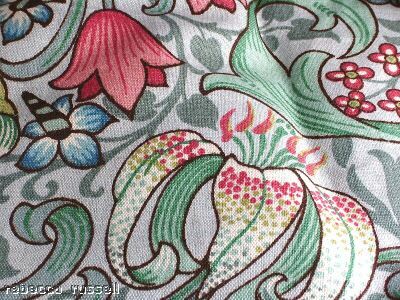 Embroidered Silks on Satin Exclusive design by Fiona Drake and hand made in Great Britain. Mounted into card and ready to be framed. Depicts embroidered design to the centre, to the rim of design reads 'This embroidery was designed by Fiona Drake and produced by ekard to commemorate the millennium year 2000'. Has original sticker attached to the back, and hanging fabric. In good condition, slight rip to the surface of the card to the bottom left corner. 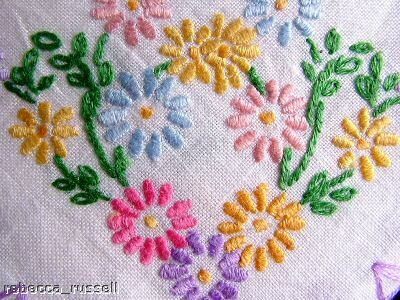 Measures 5 1/2 inches (14 cm) square. Weighs 20 grammes unpackaged. Additional photographs are available on request. 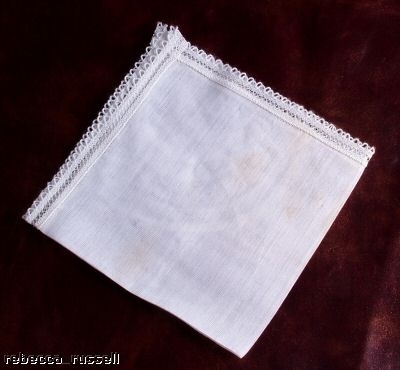 Pure Irish linen cloth, most probably a chair back and dating around c1940s or c1950s. 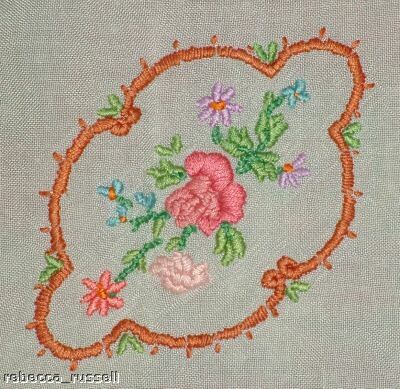 Embroidery finish. Comes complete with the original pure Irish linen label, and most probably an unused piece. Measures 14 inches (35 1/12 cm) in width, and measures 20 inches (51 cm) in length. Weighs unpackaged 50 grammes. Pretty set of three crochet pieces, charming butterfly design to two of the pieces. All in generally good condition, with no obvious areas of damage. Previously used pieces though, so the odd minor pulls here in there. Off white in colour. 2 circular pieces and one oval. Larger of the two circular pieces measures 15 inches (38 cm) in diameter, the smaller one measures 11 inches (28 cm) in diameter. The oval piece measures 13 1/2 inches (34 cm) in length. Weighs unpackaged 30 grammes. Additional photographs are available on request. 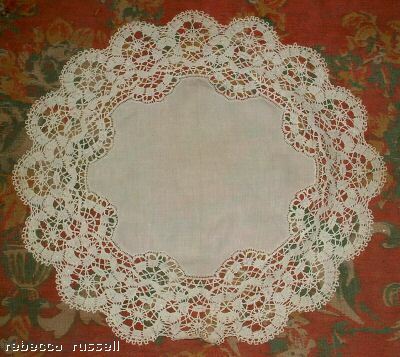 Vintage linen table centre cloth, with an intricate border of crochet or lace. In good condition, with no obvious tears or snags, just one minor faint small mark on the linen centre. This is most probably removable but not particularly noticeable anyway. 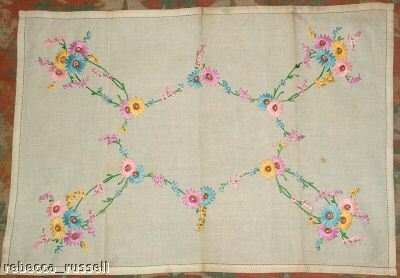 A very pretty piece, measuring 23 inches (59 cm) in width, and measures 22 inches (56 cm) in height. Weighs unpackaged 50 grammes. Additional photographs are available on request. 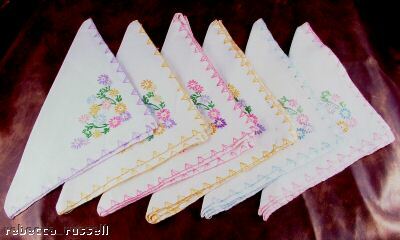 Charming set of 6 linen napkins, all embroidered with similar design but with different colour border. 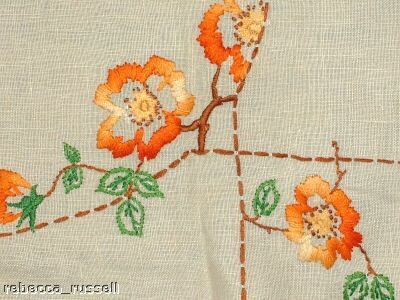 Embroidery to each corner. All in generally good, but previously used, condition. No obvious snags, holes or stains. Weigh together unpackaged 160 grammes. Additional photographs are available on request. 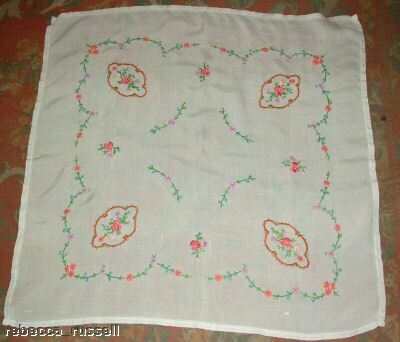 Linen square tablecloth, white linen, heavily embroidered with floral decoration. In generally good, but previously used, condition, with just one small area by the rim with minor hole and snag damage. Measures 30 inches (76 cm) square. Weighs unpackaged 150 grammes. Additional photographs are available on request. 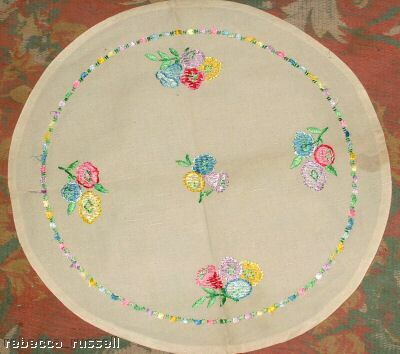 Vintage circular centre table piece, cream linen and hand embroidered in various colours. In good condition with no tears, stains or holes. Minor pulls to the embroidery here and there. Mark in the photograph is damp from ironing. Measures 16 inches (40 1/2 cm) in diameter. Weighs unpackaged 35 grammes. Additional photographs are available on request. 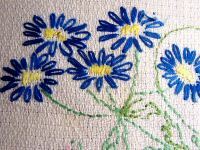 Set of vintage linen and embroidered chair backs or antimacassar, suitable for a small settee and two armchairs. In generally good, but previously used, condition. No snags or holes, just minor soiling to one chair back. Chair backs measure 16 inches (41 cm) in width, and the settee back measures 26 inches (92 cm) in width. Weighs unpackaged 450 grammes. Additional photographs are available on request. 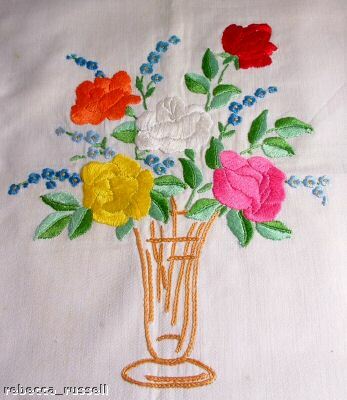 Vintage linen table centre or tray cloth, cream linen, embroidered floral pattern in various pastel colours. In generally good, but previously used, condition. Some minor areas of spot staining. Measures 22 inches (56 cm) in length, and measures 15 1/4 inches (39 cm) in height. Weighs unpackaged 60 grammes. Additional photographs are available on request. 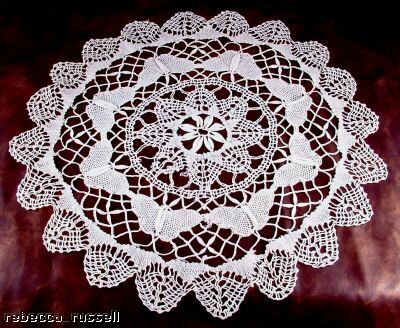 Pretty cutwork cloth for perhaps a large tray or for the top of a dresser or similar. 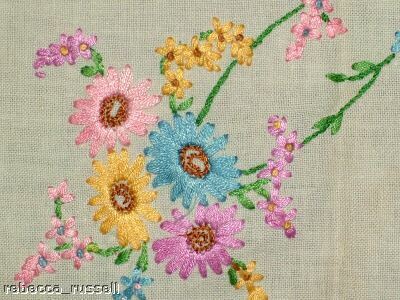 Pastel cloth finish, with fawn embroidery work. Off white or cream in colour, most probably cotton. In generally good condition, and measures 21 1/2 inches (55 cm) in width, and measures 16 inches (41 cm) in width. Weighs unpackaged 30 grammes. Additional photographs are available on request. 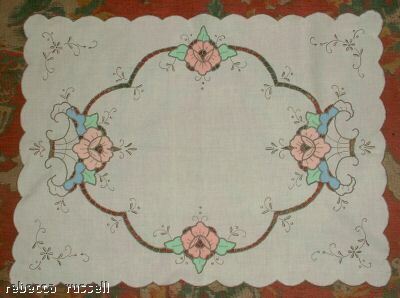 Vintage cream oblong cloth, most probably for the top of a dresser or chest of drawers. Cutwork with fawn embroidery, most probably machine embroidered. In generally good condition, and measures 32 inches (82 cm) in length, and measures 16 inches (41 cm) in width. Weighs unpackaged 50 grammes. Additional photographs are available on request. 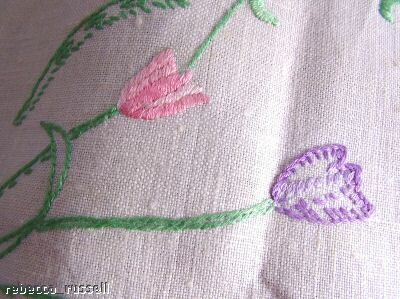 Linen of soft cotton cushion cover, embroidered floral centre and plain back. In generally good condition, and measures 18 inches (46 cm) and 19 1/2 inches (49 1/2 cm) in height. Weighs unpackaged just under 100 grammes. Additional photographs are available on request. 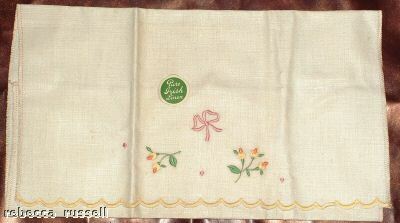 Vintage cream linen and crochet cloth, most probably a tray cloth or similar. In good condition, and measures 18 inches (46 cm) in length, and measures 12 inches (31 cm) in width. Weighs unpackaged 30 grammes. Additional photographs are available on request. 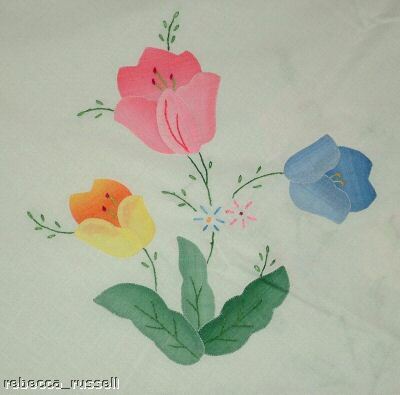 Vintage linen cloth, most probably dating around the 1950s. 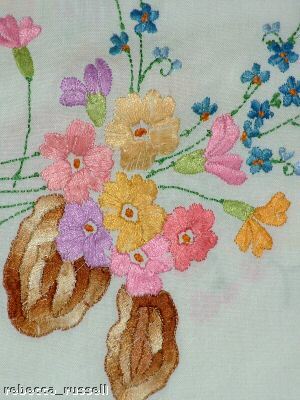 Hand embroidered to both ends depicting a basket of flowers in all colours. Would have been used as a tray cloth or similar. In generally good, but previously used condition. No holes or snags but some minor stain or other discolouration in places. Measures 20 inches (51 cm) in length, and measures 12 inches (30 1/2 cm) in width. Weighs unpackaged 50 grammes. Additional photographs are available on request. 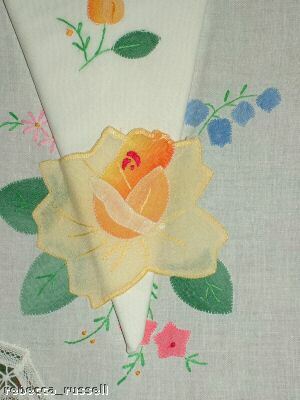 Vintage linen table centre or tray cloth, cream linen, embroidered orange floral pattern. In generally good, but previously used, condition. An area of staining to one corner, which is most probably removable with a gentle hand wash. Measures 22 inches (56 cm) in length, and measures 15 1/4 inches (39 cm) in height. Weighs unpackaged 60 grammes. Additional photographs are available on request. 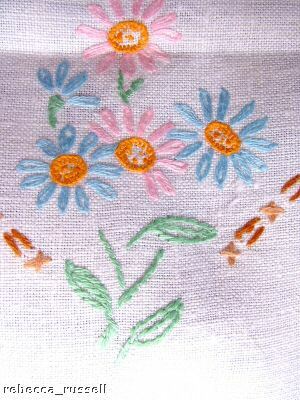 Pretty vintage linen cloth, hand embroidered and with a blue tape lace border. In good condition with no snags, holes or stains. Measures 21 inches (53 cm) in width, and measures 14 inches (36 cm). Weighs unpackaged 50 grammes. Additional photographs are available on request. 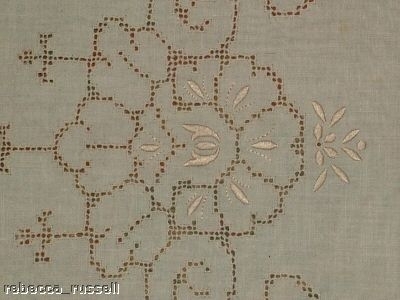 Vintage linen weave cloth with embroidered flowers on two corners. Tapelace crochet border. In generally good condition, and measures 20 1/2 inches (52 cm) in length, and measures 13 3/4 inches (35 cm) in width. Weighs unpackaged 50 grammes. Additional photographs are available on request. 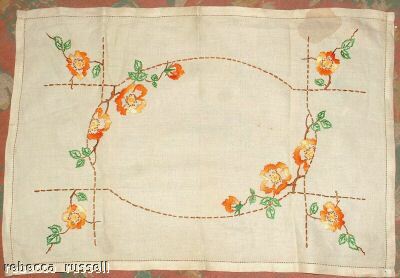 Vintage linen and embroidered cloth, most probably a try cloth or dressing table cloth. Yellow tapelace and crochet border. In generally good condition, although some very small and light mark with a yellow tint. Measures 24 1/2 inches (62 cm) in length, and measures 16 1/2 inches (42 cm) in width. Weighs unpackaged 75 grammes. Additional photographs are available on request. 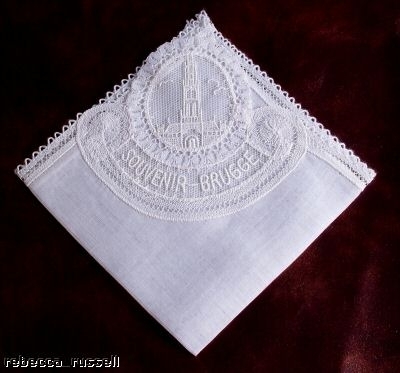 Charming fine linen and Belgium lace handkerchief, a souvenir piece from Brugge. Tape lace design with image Brugge or Bruges, most probably Cathedral. In generally good condition with respect to no snags, tears or holes. However, there are some faint blemishes to the back as can be seen in the photograph above. Additional photographs are available on request. Vintage crochet mat, star or floral design to the centre and yellow or gold border. In generally good, but previously used, condition. Measures 11 inches (28 cm) in diameter, and weighs unpackaged just under 50 grammes. Additional photographs are available on request.